The June Westcoast Reader is out! 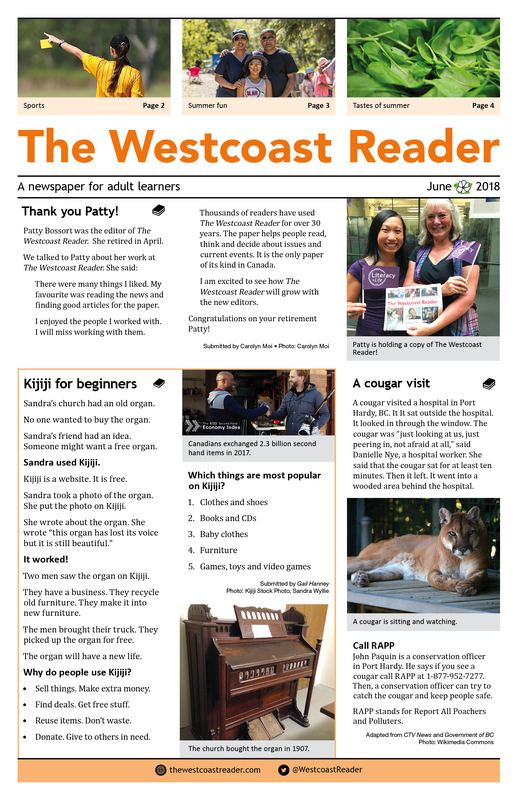 The next issue of The Westcoast Reader newspaper will be delivered to subscribers the first week in September 2018. Subscribe now to be sure you get your copy on time. Karina LeBlanc is a goalkeeper for Canada’s team. in the 2015 FIFA Women’s World Cup. Karina was born in Dominica. when she was eight years old. so the school put her in ESL. Her mom was angry, she remembers. Three days later, Karina was out of ESL. Emiko and Taketoshi Ishihara are soccer fans. are filling B.C. Place in Vancouver. The fans are here to cheer for their teams. “This is the World Cup.